We will miss you much! Diego, Lana, Lorenzo, Pietro and all your friends of Archivio Storico di Lampedusa will always remember you! 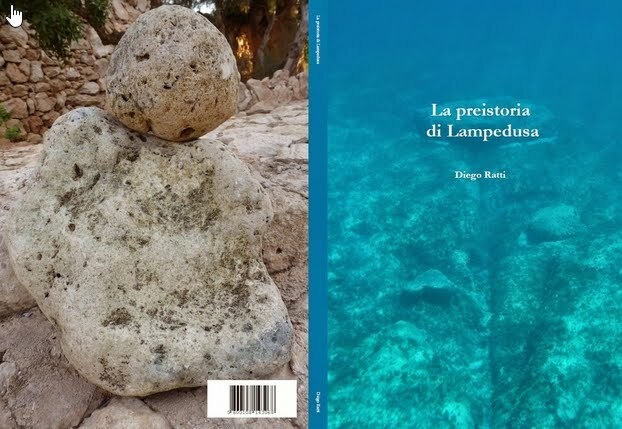 We know that Greeks and Romans used to call Lampedusa island as LOPADUSA but it is not so well know that between the III and the II century BC there was a mint on the tiny island which coined a small bronze coin . 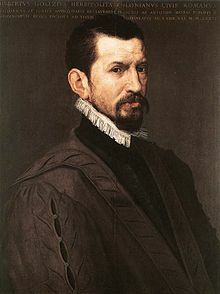 The first to write about it was Humbertus Goltzius (1526-1583) describing a small bronze coin with the Greek legend "LOPADOUSSAION" in his "Graecie eiusque insularum et Asiae Minoris Nomismata" published posthumously . The first ever published picture of this coin was in 1983 by Calciati in "Corpus Nummorum Siculorum". We can note on its obverse a severe head of Zeus with a laurel crown and on its reverse a tuna fish with the Greek legend LOPADOUSSAION. 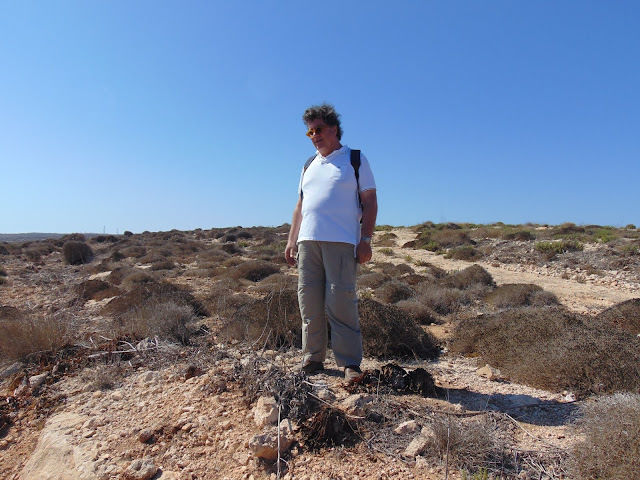 The three coins known are in private foreign collections and not a single Museum or public collection has an example of this extremely rare coin, not even the new archaeological Museum of Lampedusa itself. The prevailing opinion about the dating and paternity of this coin is that of Calciati: this coin must have been coined by the Romans between the III and the II century BC when the Romans conquered the island defeating the Chartaginians at the end of the II Punic war. The archaeological Museum of Lampedusa subscribe to this view and add some important archaeological evidence which was not known to Calciati in 1983: the discovery and excavation between 1986 and 1992 of a Roman large fish processing plant in the main harbor of Lampedusa . This plant was developed in the II century BC and used for over 4 centuries for salting fish and the need of starting fish trading may well explain the coinage of a small bronze coin. A greek legend in a Roman coin was not uncommon in Sicily in that period when three languages where spoken : Greek, Roman and Punic. 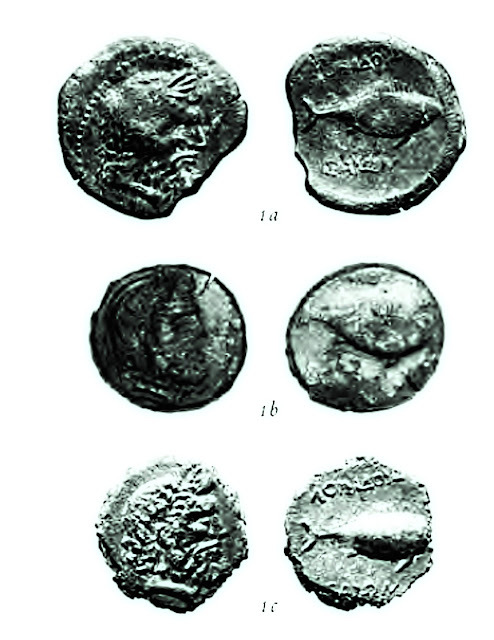 For example it may be interesting to take a look at a contemporary silver coin from Agrigento (Akragas) with a Greek legend AKRACA(NT)INON coined in 212 BC when the city was under Roman influence at the end of the II punic war . This coin from Akragas like the one from Lampedusa has a Greek legend, was coined by the Romans and it has a Zeus with a laurel crown on its obverse. Agrigento with his harbor " Poro Empedocle" was and still is the place from which the sea conenction between Sicily and Lampedusa is run. In his article of 2003 Rossini proposed a different dating and paternity of this coin: he wrote of a possible IV century dating and Greek origins for the coin of Lopadusa after observing the style of the letters and the look and feel of the iconography. 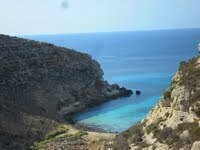 It was a suggestive hypothesis although not supported to date by any archaeological evidence with the lack of archaeological data confirming a Greek settlement on the island. In the same article "Lopadusa: an elusive mint" Rossini also proposed the existence of a second coinage with some different details from the coin described by Goltzius, Rossini was informed of a recent finding of some Lopadusa coins in the Sicilian town of Contessa Entellina: those recently found coins had a Zeus head with diadem on their obverse and not a Zeus head with lauren as in the originals and also this second coinage had on the recerse a thinner tuna fish. Rossini wrote about this finding using a lot of "IFs" because he could not be sure of the circumstances which lead to this finding. On this new finding it is interesting to read the opinion of Claudia Perassi who, in 2013, wrote : "the traditional Roman dating was challenged by Rossini after a finding near Contessa Entellina just before 2003 about which we know really little or nothing" . It is possible that Rossini who was in good faith was provided with some misleading information about this finding of new Lopadusa coins; this is a fact that can cast serious doubts about the authenticity of these Lopadusa coins with a Zeus and diadem on their obverse. It seems rather stange that a very rare coin which for 500 years was considered almost a "ghost" and of which only 3 specimens are known, all of the sudden after year 2000 has experience a rapid growth of specimenns with Zeus+diadem as seen in various auctions online and offline. 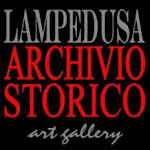 The "Archivio Storico Lampedusa" has contacted Rossini who has indeed confirmed that he is now very skeptical about the authenticity of those Lopadusa coins found in Contessa Entellina around year 2000 which can be recognised for having on their obverse a Zeus with a diadem and not the classic Zeus with lauren. Mr Rossini told us that he was mislead by wrong information when he proposed the existence of a second Lopadusa coinage and that he has asked to withdraw these coins from some auctions and he is about to write a new article to further clarify this subject. 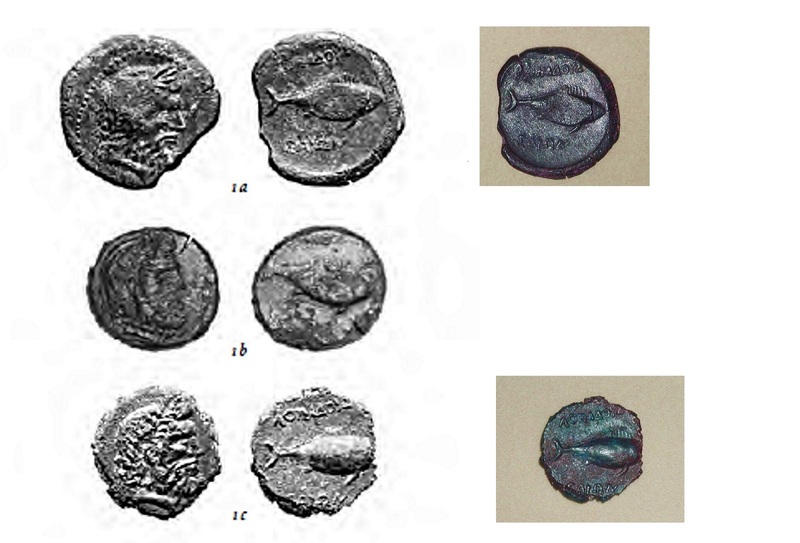 We found the above 2 pictures on the right on a public online forum (we do not know the author and therefore we cannot credit him) : we think it is a good thing to show them so that more people can see how the original Lopadusa coins look like. 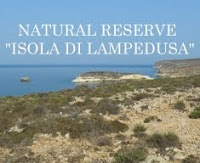 We will not show any picture of the coins which have Zeus + diadem on their obverse waiting that numismatic experts can confirm or refuse their authenticity and we will inform the Museum of Lampedusa about this issue because it has inadvertently printed fliers and posters with pictures of the second serie of dubious coins.